Please remember that recovery with password protection isn't still a full protection for your phone. Red Wolf can only prevent unauthorized access to your device from recovery. But your device can be still reinstalled using fastboot or Miflash. Already using it, Aroma file manager integrated. Works great! Any problem with restoring backups created with rRd Wolf? Well, just before installing: is this crypto-thing is mandatory? And which algorithm is used? 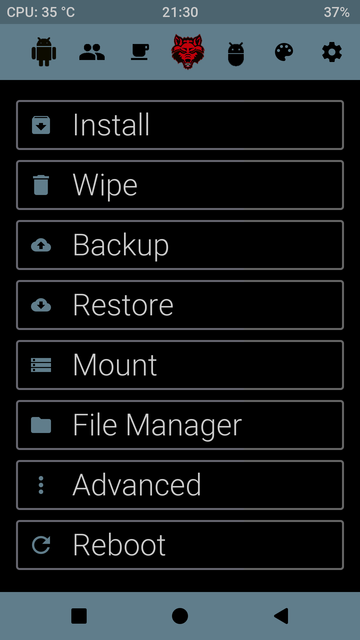 It is a TWRP 3.2.1 with advanced features. - This replaces also the kernel, along with the recovery? - Can be used with the official zui roms? it is only a recovery. 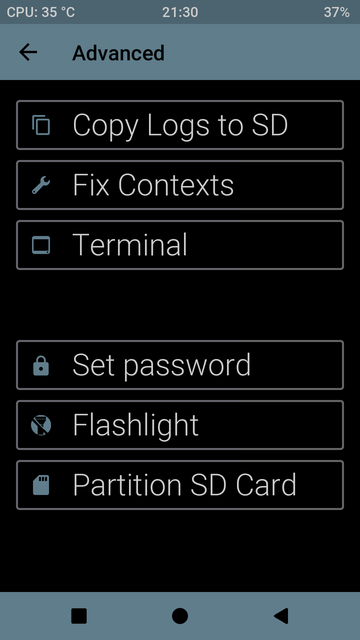 Based on Twrp 3.2.1.0. So the added F2FS, NTFS and exFAT support is only on the recovery to move backups and rom files. --> it is backing up and restoring way faster than standard twrp. I compared the backup time between treble twrp and treble RedWolf twrp. Speed of RedWolf twrp is 5-10 times faster compared with treble twrp. Yup, this recovery backs up like lightning; dunno why the latest TWRP is so damn slow! I confirm, RedWolf does fast backup with compression disabled. Is there a version for z2 plus? Just flashed the latest image for the ZUK Z2 Pro following the download link from the first post and for some reason my user interface looks completely different and most of the menu options are not available in the top section. Please see attached image. Any ideas what went wrong? Cheers.